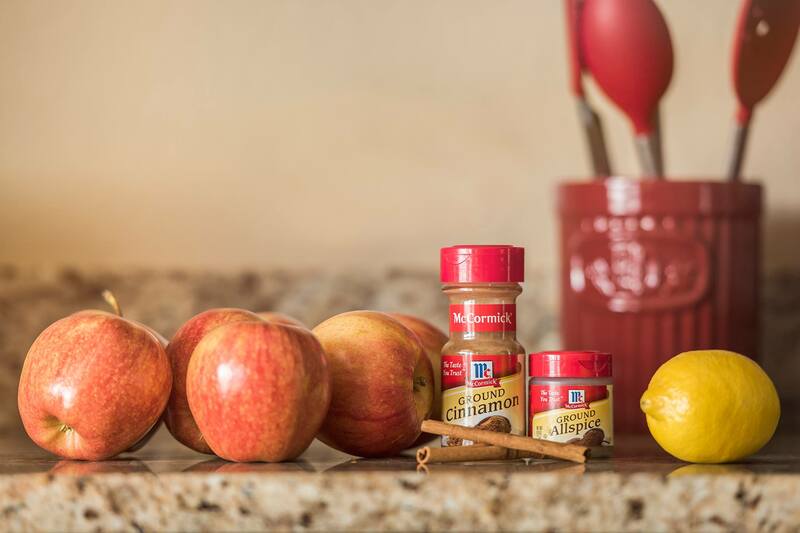 I never knew how easy it was to make homemade applesauce. That is, until my friend Shalana showed me her latest batch that she made on Facebook. 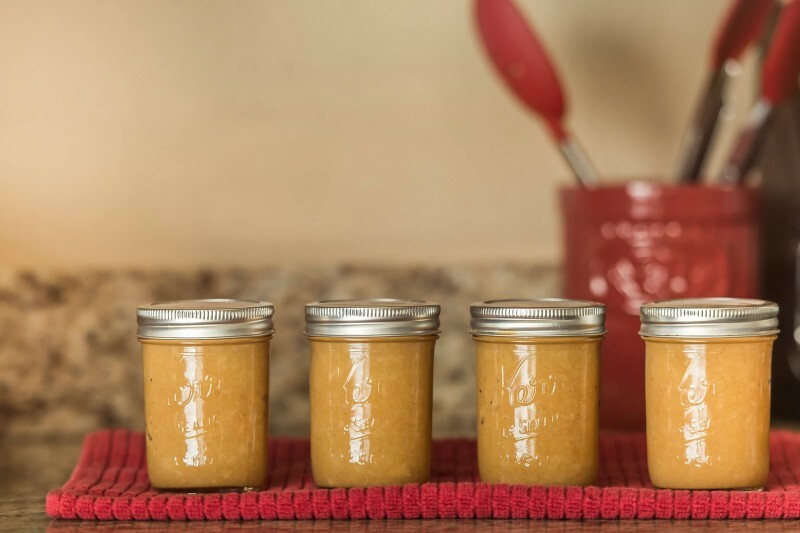 In less than an hour, she whipped up a beautiful batch of homemade applesauce that could be used with pork chops, mixed into pancakes, turned into a healthy snack for the kiddos and so much more. To start, collect 6 lb. of apples. Any kind of apples will do, some people prefer a specific kind of apples, but it doesn’t really matter what kind you use. Peel all of the apples and then cut them into slices. We like to use one of those apple wedges to make the cutting faster. Easy right? Then, throw your apples into a pot that is large enough to hold them. Combine all of the ingredients, cover the pot and cook on medium heat. Bring the mixture to a mild boil and cook for 25 minutes, while stirring occasionally. After the 25 minutes, your apples should still have form but they will be very soft and tender to the touch. Transfer the mixture over to a food processor and puree for about 30 seconds. If you prefer more of a chunky texture, you can use a potato masher instead of a processor. Fill your jars or a bowl and store them in the fridge. That’s it! This recipe will yield about 6-7 cups of applesauce, you can half it if you don’t think that it will be eaten quick enough. Core, peel and slice all of the apples. 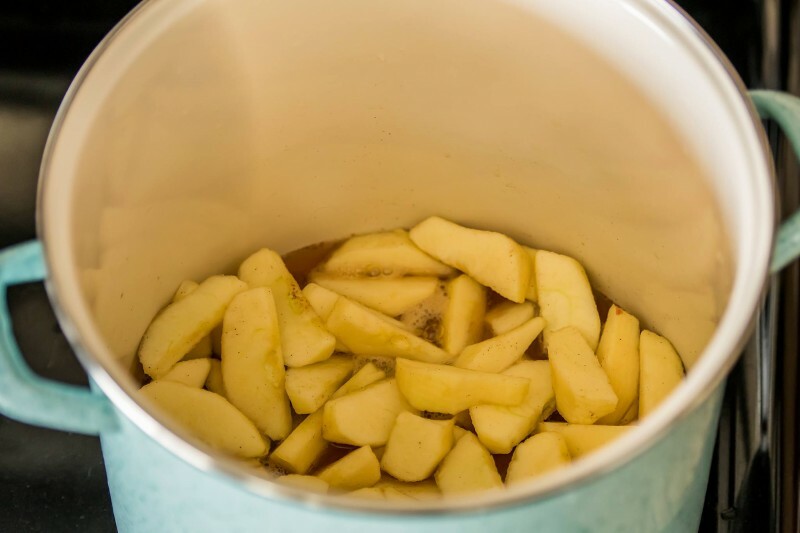 In a large pot, combine apples and the rest of the ingredients. Cook for about 25 minutes on medium heat, stirring occasionally. Blend in a food processor for a puree applesauce or mash with a potato masher for a more chunky texture. Fill into jars or a bowl and refrigerate.